A group of Australian travel agents is visiting Tipperary and Ireland this week. They are here as guests of Tourism Ireland, Fáilte Ireland and Australian Pacific Touring (APT), a leading tour operator. The travel agents all won the opportunity to travel to here – and to try out the brand new ATP island of Ireland tour. One of the highlights of the group’s time here was a visit to the Rock of Cashel. 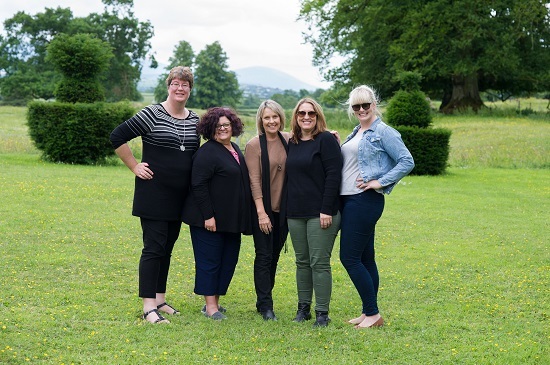 PIC SHOWS: Australian travel agents Amanda Fricker (South Australia), Pina Gianfrancesco (Western Australia), Karen Newbury (Australian Pacific Touring), Emma Atchison (Victoria) and Sonja Bomhof (from Queensland), during their fact-finding visit to Ireland.